What’s in store for This Is Us? Creator Dan Fogelman recently revealed he’s already written the NBC TV show’s season four premiere, Entertainment Weekly reports. The hit drama series follows the Pearson family across the decades — from young parents Jack (Milo Ventimiglia) and Rebecca (Mandy Moore) in the 1980s to their adult kids Kevin (Justin Hartley), Kate (Chrissy Metz) and Randall (Sterling K. Brown) as they search for love and fulfillment in the present day. During a recent panel, creator Dan Fogelman teased some new story developments for season four of This Is Us. Now, NBC hasn’t officially announced a season four renewal for the series but a renewal seems highly likely given the show’s high ratings. What do you think? Do you watch This Is Us? Who’s your favorite character? 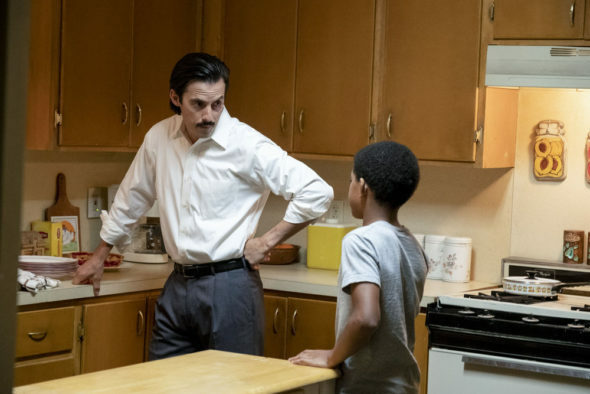 This Is Us: Will You Be Watching Season Two on NBC? Yes, Yes, and Yes… renew for another season. It’s been a great series and should continue to capture the audience attention for many more seasons to come. Keep it going people…. I would be absolutely shocked if they did not renewal This is Us! or wait nothing shocks me, some of my other favorite shows have been cancelled and left me shocked as well. Jack is truly my favorite in this show and i always want more of him. PLEASE DON’T CANCEL THIS SHOW,!#! I TRULY LOVE LOVE LOVE THIS SHOW LIKE A MILLION OTHER FANS!!! !